This seller is currently away until Apr 30, 2019. If you make a purchase, there may be a delay in processing your order. cosmic-exchange has no other items for sale. Please contact us through ebay messages. Please pay within 3 working days of item ending and please let me know if you are paying other than pay pal. I will always get proof of postage and will not be held responsible for items getting lost or damaged in the postal system. Please note : postage includes packing costs, time and travel expenses. 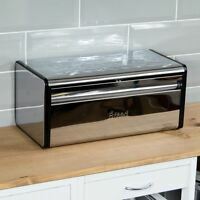 I post items most mornings before 9.15am, if you purchase after that time they will be sent out the following morning. There will be a delay in posting on weekends & bank holidays. Good Product & Service, Thanks. Exactly as described and a pleasure to deal with. As replacement seals go, these are fantastic. I was about to throw away my Jars due the original seals disintegration but decided to see if there are seals out there that can replace them. 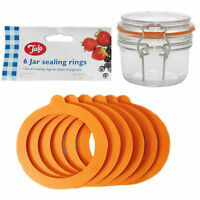 Low and behold, I found these seals and decided to go for an orange set to jazz up my Kilner Jars. They seal the Jars just as good as the original. All I can say is SUPERB!!!! Will be purchasing more for other jars I have. I bought some Kilner type jars from a well known chain and the seals really let me down. I have purchased two sets of these seals and I am happy to say that I now do not experienced spoiled fruit or jams , which I make from my garden produce. I can highly recommend these. Replacing the seals returns the jar to a condition like new. 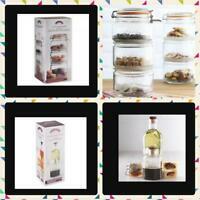 Fits numerous different sizes of jar. I bought these as I make jams , chutneys etc from my garden produce. 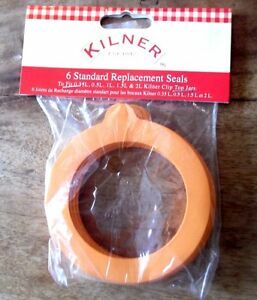 Every year I need to replace the seals and so I bought these , as I have purchased them before and never had any problems.